The skills minister has told the Institute for Apprenticeships to get “faster and better” at approving apprenticeship standards. 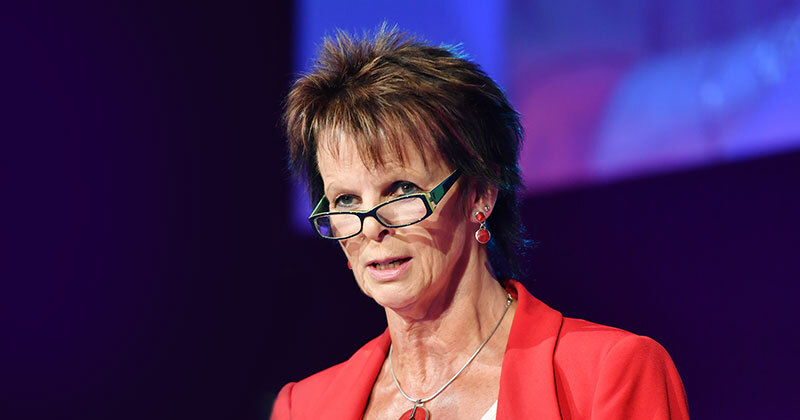 Anne Milton’s request appeared in a document called “strategic guidance to the Institute for Apprenticeships”, published today. FE Week revealed two weeks ago that the institute approved just four standards throughout April and 10 in March, down from 21 in February. It appeared to pick up the pace this month by approving 19. Acknowledging the issue, Ms Milton said she wants the institute to make accelerating standard approvals a top priority. “I would like to see further improvements following the implementation of your faster and better programme, particularly in reducing the time it takes to approve apprenticeship standards,” she said. Apprenticeship standards, which are developed by groups of employers, are gradually replacing the old frameworks. Each contains a list of the skills, knowledge and behaviours an apprentice will need to have learned by the end of their apprenticeship. The institute’s chief executive Sir Gerry Berragan only launched the “faster and better” initiative in December to “streamline the approvals process”, after receiving complaints from employers and providers that the process was far too slow and bureaucratic. A spokesperson had claimed the figures for March and April were not surprising, as the IfA expected recent reforms to slow things down temporarily ahead of an anticipated upturn. Ms Milton’s other priorities for the IfA include continuing to “improve the quality of apprenticeships, through upholding robust approvals criteria, assuring the quality of end-point assessments, and reviewing standards and assessment plans”. Reviews should make use of occupational maps and “demonstrate how standards maintain their relevance to employers, are occupationally specific, and reflect the changing needs of skills, knowledge and behaviours in an occupation over time”. She also wants the institute to provide a “positive and timely response” to employers and apprentices, “mindful of their needs, and responsive employer and apprentice experience”. The institute is due to take over the running of T-levels later this, although an actual date has not been agreed yet. “You will therefore need to work in partnership with the department and other agencies to agree and clearly define the roles and responsibilities of everyone involved, throughout the implementation phase and once T-levels are fully operational,” Ms Milton said. “You will work closely with the department on the recruitment of the T-level panels for those routes to be delivered from 2022, with a view to T-level panels for 2022 outline content (and their relationship managers) ultimately operating out of the Institute.